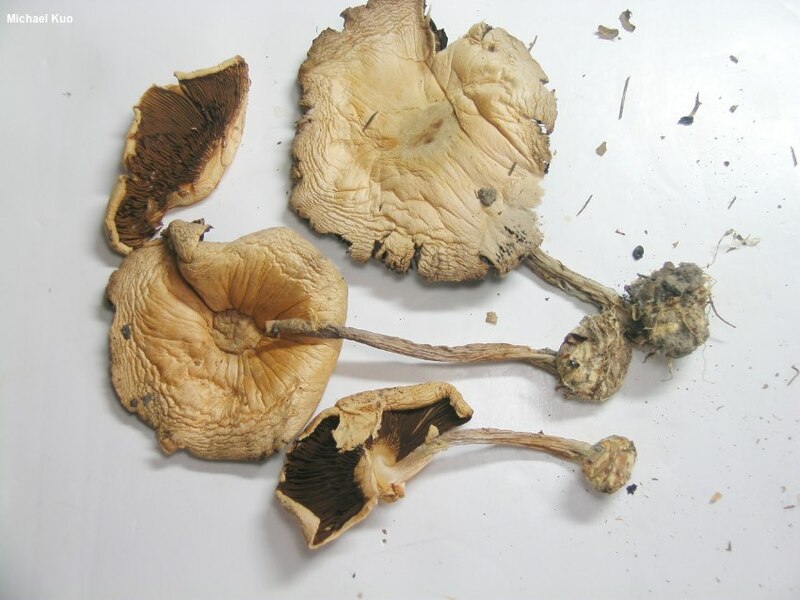 This newly named species has previously been treated as Agaricus abruptibulbus by most authors, but Agaricus expert Richard Kerrigan (2016) separates it on the basis of DNA sequencing and morphological differences. 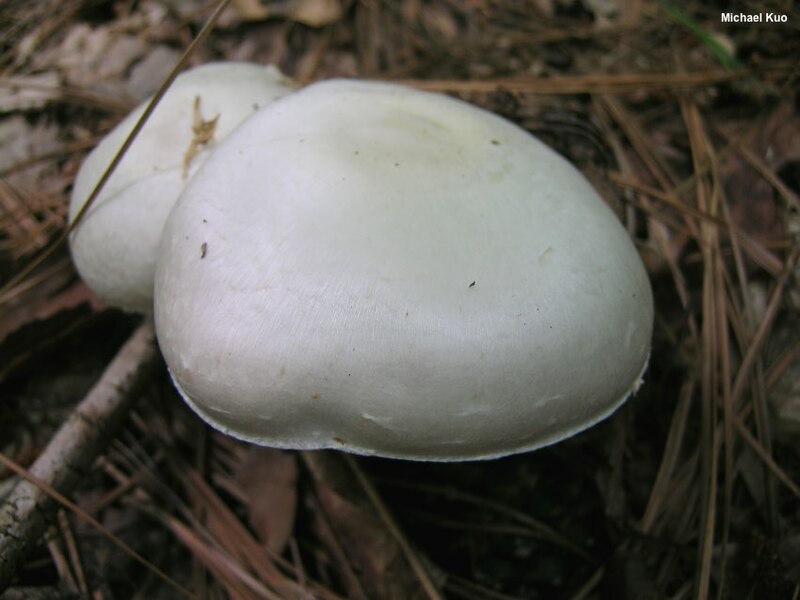 Like Agaricus abruptibulbus, Agaricus reducibulbus is a white, almond-scented, woodland species. 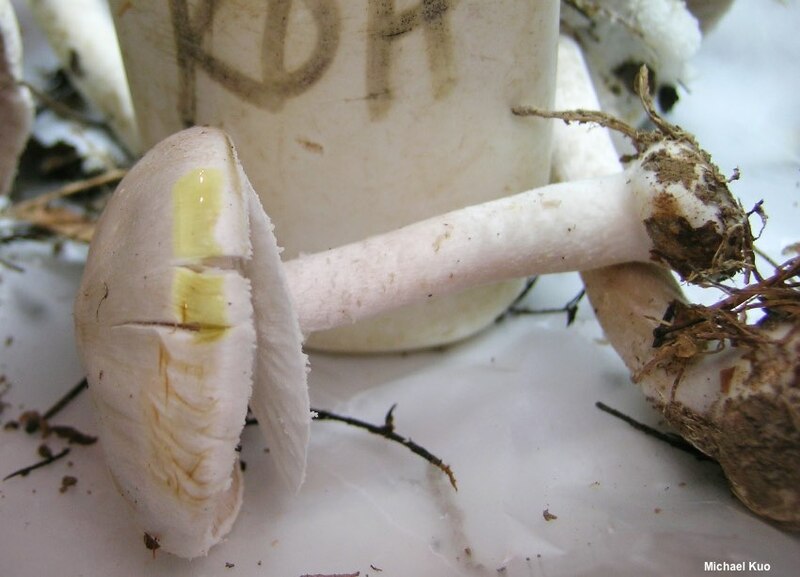 However, Agaricus reducibulbus remains white as it develops (Agaricus abruptibulbus becomes a little yellowish in old age), and it features smaller spores. The bulb at the base of the stem often (but not always) features a flattened upper side, creating a distinctive, "marginate" appearance. 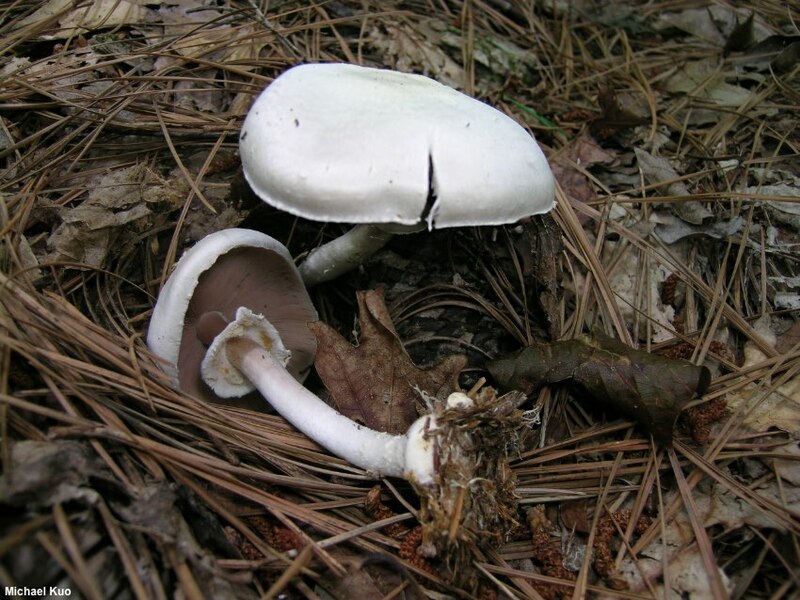 Agaricus sylvicola is also very similar, but its stem does not usually feature a basal bulb. Ecology: Saprobic; growing gregariously in hardwood or conifer forests; summer and fall; documented by Kerrigan (2016) from Pennsylvania and New York. The illustrated and described collections are from Illinois. Cap: 5–10 cm; convex to somewhat blocky at first, becoming broadly convex or nearly flat; dry; minutely radially silky; white; the margin not lined, yellowing slightly when rubbed repeatedly. 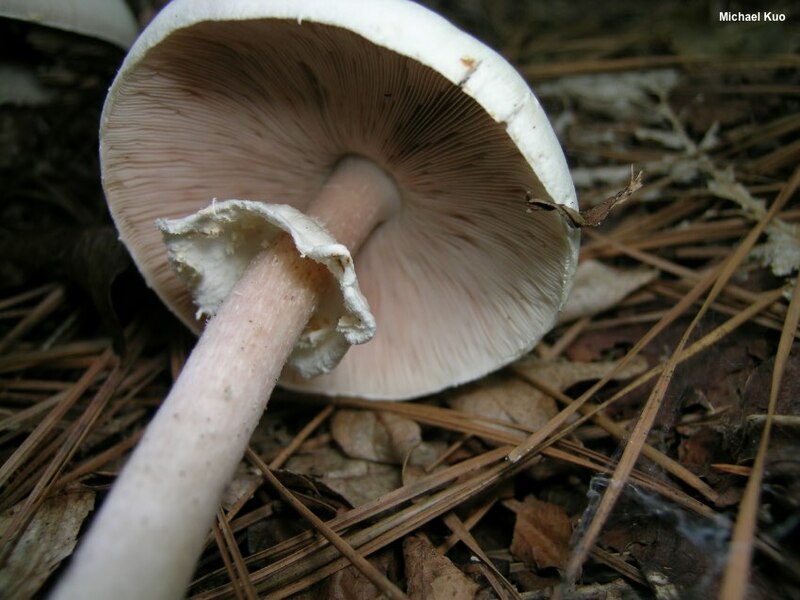 Gills: Free from the stem; crowded; short-gills frequent; white when young, becoming pink and eventually dark brown; when in the button stage covered with a whitish partial veil that may develop yellowish stains. 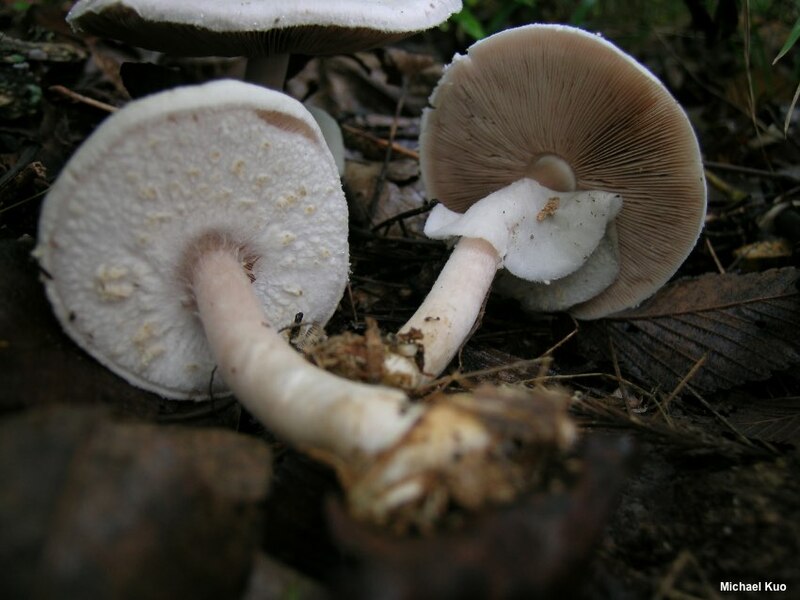 Stem: 5–10 cm long; 0.5–1.5 cm thick; equal above an abruptly bulbous base; the basal bulb often with a flattened upper side; bald; with a white ring; white; bruising yellowish toward the base when rubbed; basal mycelium white. Flesh: White; unchanging when sliced; sometimes yellow in stem base. Odor and Taste: Reminiscent of almonds. 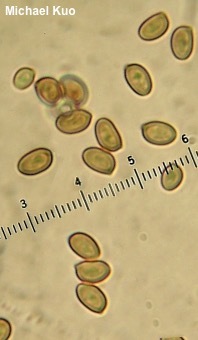 Microscopic Features: Spores: 5–6 x 3–4 µm; ellipsoid; smooth; thick-walled; brown in KOH; brown in Melzer's. Basidia 4-sterigmate. Cheilocystidia 18–30 x 4–8 µm; multiseptate and catenulate; terminal elements subglobose; smooth; thin-walled; hyaline in KOH; soon collapsing. Pleurocystidia not found. 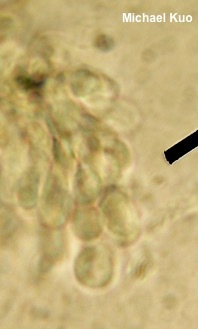 Pileipellis a cutis; elements 2.5–7.5 µm wide, smooth, hyaline to yellowish in KOH. REFERENCES: Kerrigan, 2016. Herb. Kuo 09230606, 07300909.